On the weekend we like to bring you geek humor. This week, funny responses from Siri Virtual Assistant on the Apple iPhone 4S. And a parody of Siri, comparing it to the HAL 9000. Open the pod doors HAL! Here’s a video of some funny responses to oddball questions. This video was posted on YouTube by jimmiwhacked. He certainly loves his new iPhone 4S! 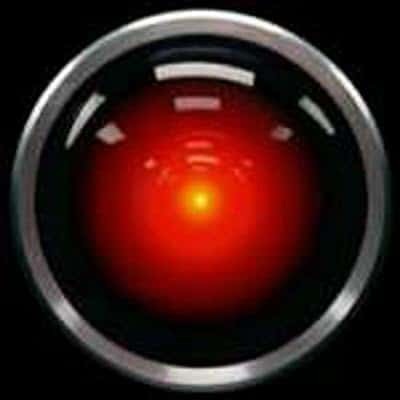 A lot of geeks have made jokes about Siri being like the HAL 9000 in Stanley Kubrick’s classic movie 2001: A Space Odyssey, which was based on the book by Arthur C Clarke. This parody video plays off that theme. This video was posted by brewolve on YouTube. If you’re a fan of 2001: a Space Odyssey you’ll find humor in it. hi!,I really like your writing very so much! percentage we be in contact extra approximately your post on AOL? I need an expert on this area to resolve my problem. Maybe that’s you! Taking a look forward to peer you.